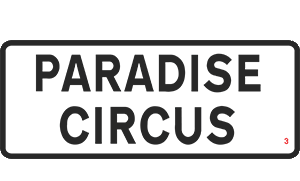 Fans of vague marketing talk and transparent attempts to make the public feel as they’re in control really should head over to paradisecircus.co.uk and marvel at the property developments Argent. Apparently Argent and the Birmingham City Council have an ‘exclusivity agreement’ and if that brings to mind the result of an awkward conversational from a couple of Uni friends that have been occasionally drunkingly ending up in bed together, then you wouldn’t be far wrong. Argent and The Council have promised not to see other people, but on the promise that Argent phone their mates and check they don’t mind. The ‘mates’ in this analogy are us and the phone call they have promised to make is the website, its feedback forms and a small presentation they made in Paradise Forum. I went to this ‘public exhibition’ which consisted of all the different pages of that web site on four-foot banner posters and collection of smarmy PR drones, I believe the collective noun of which is a ‘toss’. Not so much an exhibition as a talking down to. These guys talked in non-committal terms about improving the ‘flow’ of pedestrian traffic from Victoria Square to what’s behind it. Now, considering what’s behind it is/will be the library they are having to build because of the redevelopment, the exhibition centres and Broad Street, the question is do we really want to improve traffic? That is if its mainly going to consist of bored business tourists looking for lap dancing clubs and red faced Broad Street louts spewing WKD vomit like sprinklers? Or should we actually dig deep trenches filled with flaming tar and post irritable machine gunners every fifteen yards. OK I’m being facetious, but if improved pedestrian flow is one of the major concerns — do we really think that having to walk through an enclosed shopping area is such a barrier? Are blank-faced pastel people drinking coffee in a way no English person actually does going encourage this flow? And could we not just put up better signs? This stock photo ridden example is the most patronising and indicative of the vagueness of said drones. 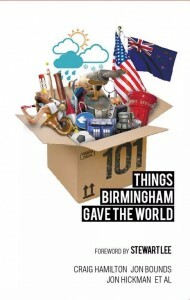 Hilariously suggesting that shops cafés or bars could move in, exactly like Argent’s other development, Brindleyplace. Only this time all the major bar, café and restaurant brands are already represented in Birmingham, and in this economic climate nobody is opening those sorts of businesses any more – just look at Broad Street, where nearly every other unit is a gutted smeared window, a tombstone to another dream dying. After a while of looking at the site you notice how the entire text of its prefaced with words like ‘possible’ and ‘potential’ Is this because they so really want to avoid giving away the dirty reality? They’ve already decided what’s going to be done, and nothing will change that. I was born in 79 so I grew up with Thatcher smashing the unions and images of policemen beating up picket lines, by the time I was a teenager student protest had become a bad cliché, and as an adult saw the biggest civil protest this country has ever saw roundly ignored as we were taken to war. So sure, email your opinion if it’ll make you feel better and part of the process, that’s what it’s there for. In fact that’s the only reason it is there.